Cubitek presents their latest cases series by the name ICE, which are full Aluminum enclosures in various sizes from Mini-ITX to the massive HPTX format. 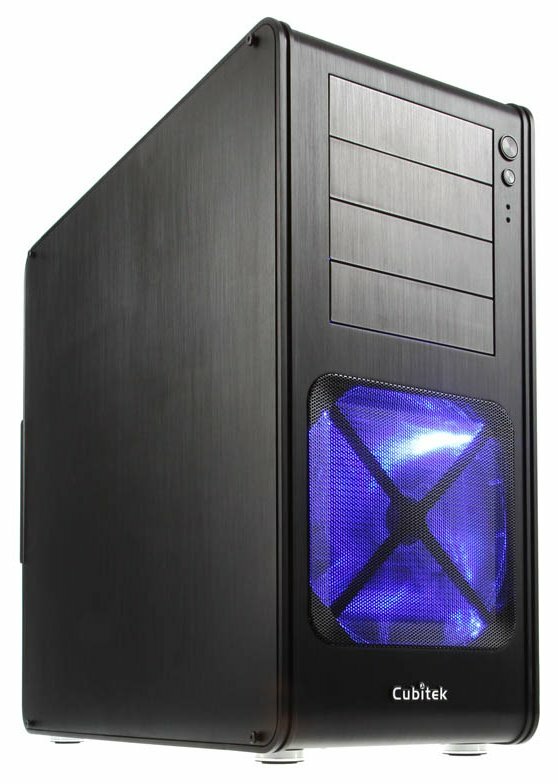 These offer modern features like USB 3.0, dust filters, space for long graphic cards and large CPU coolers, thus offering the perfect choice for every scenario. The fairly young brand Cubitek managed to turn heads right from their debut in 2011, as the designer cases impressed with incredible engineering, usually reserved for the big players in the market. The modular chassis design of the Magic Cube pushed the boundaries of case concept, offering separate enclosures and allowing unheard of customization. With the new ICE series of cases, Cubitek is aiming to deliver immaculate enclosures constructed with light weight Aluminum, offering plenty of space and functionality at competitive price points. The ICE series is available in three different sizes and named accordingly. the Mini-ICE is intended for Mini-ITX motherboards, the ATX-ICE utilizes full size ATX variants, while the HPTX-ICE has enough space for even the largest multi-socket boards like the EVGA SR-X. Even though these three cases are of different sizes, Cubitek has ensured, that all of them utilize the same design elements, with black anodized and brushed Aluminum on the exterior with a whooping 2.5 millimeters thickness. Such a choice of the light material make the Cubitek ICE cases extremely sturdy, also thanks to the fact that the panels are made of two solid pieces, which is bent into shape. This manufacturing process results in cases with very few exterior parts. The Cubitek ICE series bodies are made of just four parts. These are not simply hooked into each other to form the beautiful shape, but held together with rubber mounted screws, further underlining the overall quality of these enclosures. Thanks to the use of Aluminum, the Cubitek ICE cases are extremely light, while offering exceptional cooling capabilities. With numerous air vent and pre-installed fans, every of enclosure of this series offers more than enough air flow - regardless of size. Not only the overall design spans the entire series of ICE cases, but also various functional elements. Each of the enclosures offers two USB 3.0, two USB 2.0 and a pair of audio connectors, dedicated use of thumb screws, rubberized feet and blue LED equipped fans right out of the box. On top of that each of the ICE cases - including the Mini-ICE - offer exceptional cable management possibilities. The Cubitek ICE series, consisting of the Mini-ICE for Mini-ITX, the ATX-ICE for full size ATX and the HPTX-ICE for HPTX boards are available shortly from http://www.overclockers.co.uk/ and cost £119.99, £189.95 and £239.99 respectively.